With a combined prize amount of $16,000, new and expanded categories, juror prizes, and art works within one single gallery, the 2016 Akron Art Prize is poised to be a great experience. Art Prize, sponsored by the Margaret Clark Morgan Foundation and coordinated by Downtown Akron Partnership, takes place at Summit Artspace from Sept. 3-Oct. 1. View more than 200 works of art ranging from photography, sculpture, graphic design, paintings and more with public vote determining $12,000 in cash prizes in six categories. In addition, two civic jurors and two arts jurors will award $1,000 each to four entries. Entries are accessible for viewing and voting Thursdays-Saturdays from 12 to 9 p.m. throughout the month. Saturday, September 3, 5-10 p.m. Enjoy music by The Dreemers, food trucks and cash bar from 5-9 p.m.
Saturday, October 1, 12-9 p.m.Vote for entries at Summit Artspace until 8 p.m. and then make your way to the Akron Art Museum for the finale reception from 8-10 p.m. with entertainment by DJ Ben Crazy, light hors d’oeuvres and cash bar. Download the FREE Akron Art Prize app through iTunes or Google Play to view entries, curate favorites and cast votes. Each registered voter, age 16 and older, has up to five votes. Visit akronartprize.org or facebook.com/akronartprize for details. Share Art Prize experiences on Twitter, Instagram and Facebook using #akronartprize16. The Burton D. Morgan Foundation provides additional marketing support for Akron Art Prize and presents artists with opportunities for growth through networking, building rapport with galleries and providing tools to promote themselves to patrons. Rubber City Comics is the place to go for any comic book fans, young or old. Rubber City Comics began in a small room inside Quaker Square, where it was called “Quaker Square Comics.” There, the store sold comic books but also a conglomerate of kick-knacks such as souvenirs, T-shirts, candy and more. Now at its new storefront in Downtown Akron, Rubber City Comics focuses on comics, graphic novels, action figures, apparel, and other collectables. Owner Scott Malensek said there are three things that make Rubber City Comics stand out from other comic book stores: the customers, the free subscription service, and the consignment. Manager Tom Hoff said the subscription service is flexible enough so that if someone wanted to jump on or jump off, it’s a quick process. 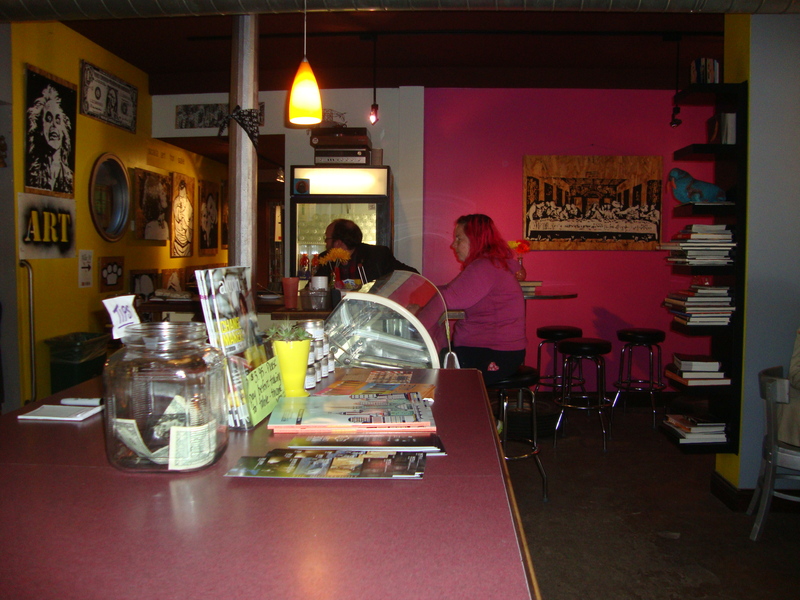 Rubber City Comics attracts a variety of age groups –from young children to adults. For these people, the store is not just a place to buy comic books and leave; many come just to hang out and speak the language. The staff enjoys talking with customers and hanging out with people who like the same conversations and interests. One unique thing that Rubber City Comics does is host a comic fan get-together on the last Saturday of every month. From 2:30 p.m. to 5 p.m., guests can watch a comic-related movie as well as discuss ideas. If you’re a comic book fan, or are interested in becoming one, stop by at Rubber City Comics for a fun and unique experience! Their hours are Mondays through Wednesdays from noon to 6 p.m., Thursdays and Fridays from 1:30 p.m. to 6 p.m., and Saturdays from noon to 5 p.m. For more information, check out their Facebook and Twitter. Tammy O’s Hair Salon exceeds typical salon and barber shop expectations and provides a sense of community to its customers, contributing to Downtown Akron life. The Shoppes at Akron Centre offer a wide range of shopping and dining options. 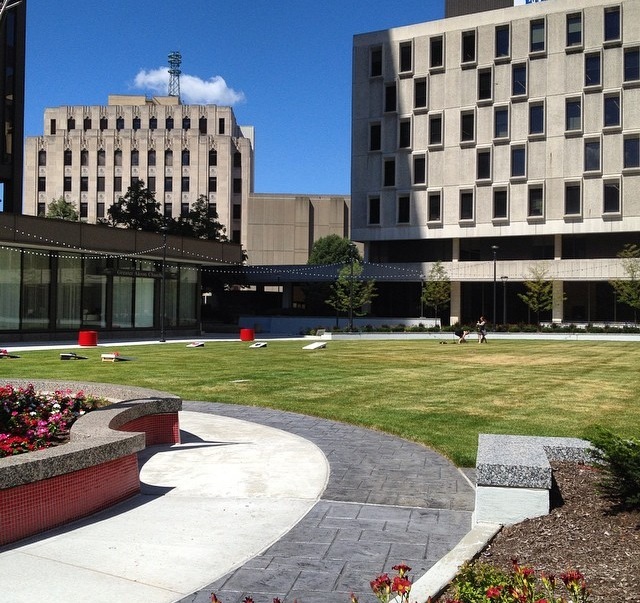 This shopping center adds to the lively, entertaining atmosphere of Downtown Akron. Well-known establishments such as Angel Falls Coffee, as well as original specialty shops like NOTO, are centered in this building, drawing in local workers and shoppers in the Akron area. A place of its own—famous for its friendly employees and wide variety of offered salon and spa services, Tammy O’s, owned and operated by Tammy O’Strander, attracts men and women of all ages and ethnicities to the salon. The salon specializes in nails, massages, hair coloring and styling, as well as cuts and waxes, and cosmetology. O’Strander is working in her fifteenth year at the franchise in the Shoppes at Akron Centre. She is a licensed barber, who started a career at this salon as an employee in her youth. She then took over the shop when the previous owner left and has run the salon ever since his departure. Although O’Strander began as a men’s barber, she expanded the salon to offer far more services, for both men and women. O’Strander started in the business at a young age. She enjoyed cutting hair and considered it her hobby. She made the initiative to turn it into a career after working at a salon in Beachwood, Ohio, where her co-workers and employers taught her more than she imagined she could learn. O’Strander states that was when she fell in love with her hobby, and it developed into her career. O’Strander took these life-changing lessons and applied them when she started running Tammy O’s Salon. As the owner, O’Strander refuses to operate a cookie-cutter hair salon and spa; she wants both her employees and customers to get the most out of her knowledge and services. She aspires to motivate and teach so that her employees receive that same experience she gained at her first hair salon job. O’Strander says she focuses strongly on growth. Tammy O’s stylists and spa specialists. Working alongside O’Strander at Tammy O’s is Vicki Martin, the massage therapist and shoe shiner. She began working there in 2003. She specializes in therapeutic and deep tissue massaging. Also, Cindi Rains is the nail technician, an employee of over ten years. 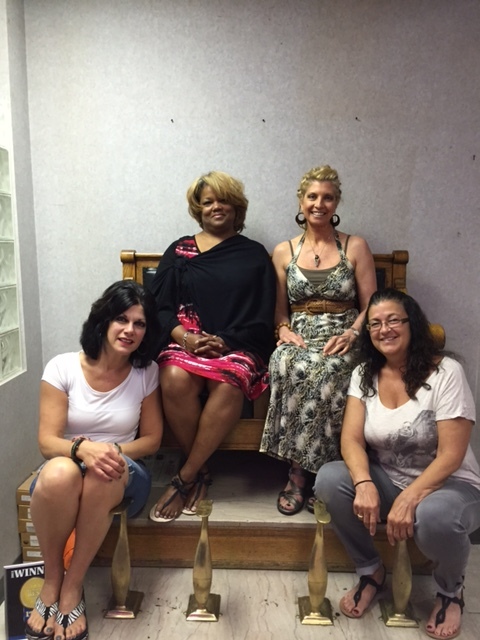 Recently, Robin Jones, a friend of O’Strander’s since 1995, joined the team, focusing on cosmetology at the salon. Jones was a licensed barber in Maryland, specializing in hair replacement, where she previously worked. Joining O’Strander’s salon, Jones brings a background of culture and diversity in regards to hair styling, as her passion and talent centers around styling and re-growing hair of people with mixed ethnicities. As a woman of mixed backgrounds herself, Jones sees “this business [as] artistry.” She plans to incorporate more diversity in the salon’s services, hoping to attract more female customers and customers with diverse backgrounds. Dedicated workers at Tammy O’s gather at the spa. Employees in the downtown area, along with shoppers and browsers, see Tammy O’s and are intrigued by its welcoming appearance and many spa services. O’Strander says that her business is always growing because the people who have used her services before continuously return, while regularly new customers visit. This salon is a great place for students at the University of Akron and workers downtown because of the convenience of location and short amount of time it takes to get there. What used to be a barber shop transformed into a full-package “head-to-toe” service salon and spa. O’Strander puts her passion and skills into her business, offering expert hair and other services, as well as a friendly, inviting environment where the workers know each customer by name. In 2010 and 2011, Tammy O’s was named the Akron Beacon Journal’s Best Barber and in both those years and in 2012, named Beacon’s Best Spa and Salon. Tammy O’s is a great place to get pampered or a haircut—they provide care and talent that is hard to find elsewhere. For more information about Tammy O’s Hair Salon, visit their web page on our site, give them a call at 330-253-2300, or stop in at 50 S Main St, Suite 111. When visiting the salon, remember that Tammy O’s has a Do Downtown card member promotion of 10% off any service. 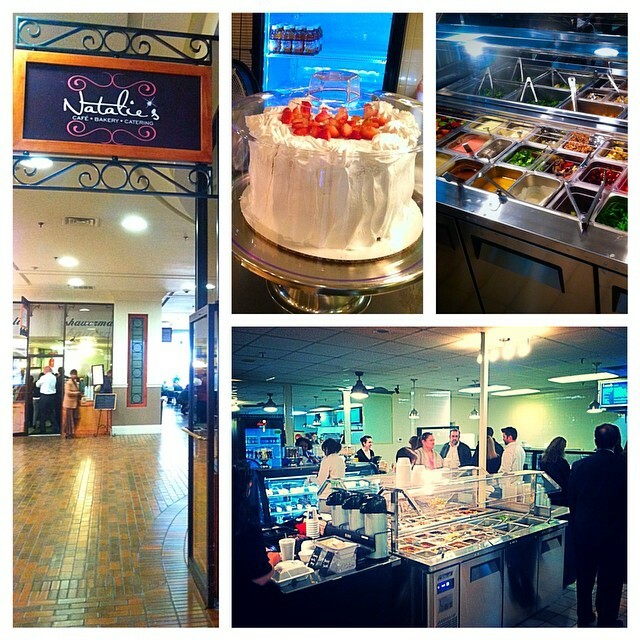 If you are familiar with The Dessert Bar, then you know Natalie’s will be an experience you won’t forget. The location of the pleasant eatery might have changed, but the delicious recipes have expanded and they offer new menu items including breakfast, lunch and dinner items. Now located in the Shoppes at Akron Centre, Natalie’s is open and ready to connect and share their new vision with Downtown Akron. Whether you are in the mood for an appetizing chicken salad or a sweet signature Hollywood square, Natalie’s will meet your needs. Natalie, who co owns the restaurant along with her husband, started cooking in her younger years. She attended a culinary arts trade program during high school which fueled the fire in her heart for cooking and baking. Although Natalie loved the restaurant business and working in the environment, being young and in school made that difficult. She then entered the corporate world and worked there for about 15 years. With the passion for the kitchen still residing inside of her, five years into her corporate America career, she started baking cakes. Baking cakes and catering soon became the focus of her drive. 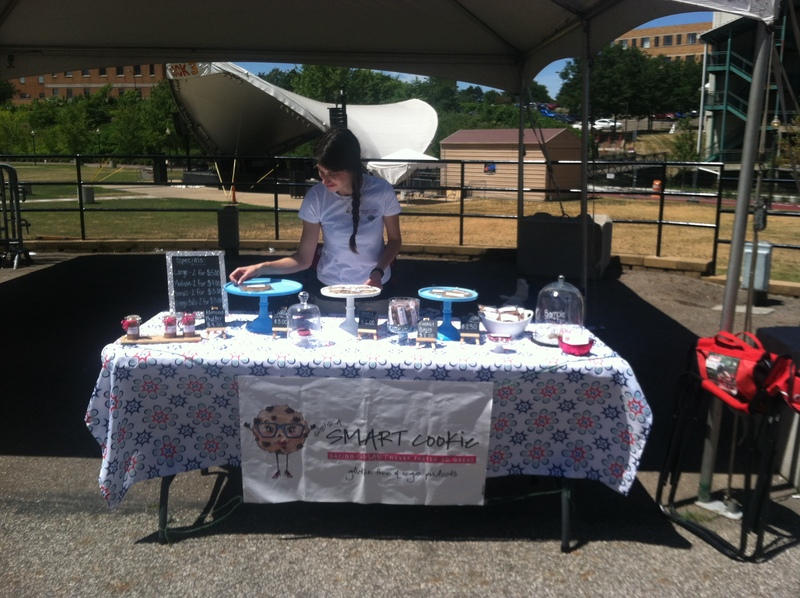 Natalie left corporate America and decided to open a business to what many would remember as The Dessert Bar. 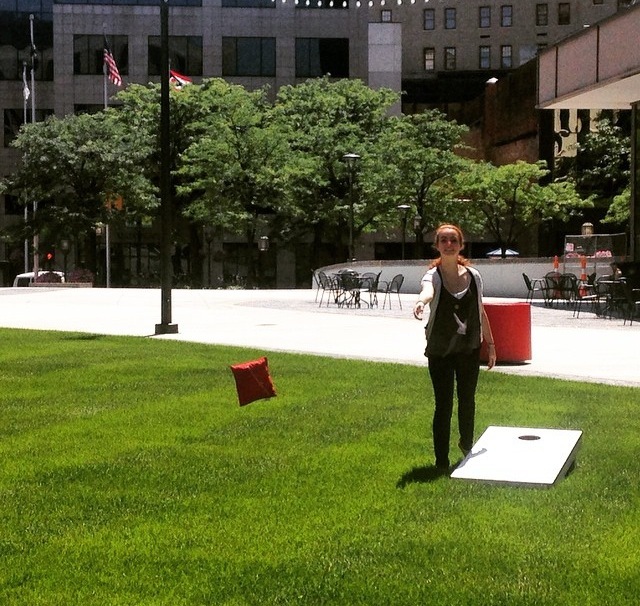 Natalie switched locations from the Montrose area to right here in the heart of Downtown Akron. She has expressed her love for the city and for the history and security of the Chase building. After asking Natalie what she looked forward to the most, she replied “the increased traffic flow”. Now that she is more out in the open and not as hidden as before in her previous location, she anticipates serving existing formal customers and meeting new patrons to make them customers for life. While working in a friendly family environment, she hopes that new and existing patrons notice the name and menu change. The name change from The Dessert Bar to Natalie’s was designed to give insight to the larger spectrum of food Natalie and her restaurant could offer other than just desserts. Natalie’s offers breakfast, on request only, home-style dishes, standard deli options, specialty items and grill items. All menu items are made with homemade recipes, and are accompanied by homemade sides. Catering is also available upon request. Natalie’s catering events range from corporate lunches, and weddings, to anniversaries and school reunions. Natalie enjoys being in Akron and serving her community. Along with anticipating meeting new customers, a smooth transition from the familiar Dessert Bar to the current Natalie’s, is the main goal for this restaurant owner. To experience the warm and friendly environment that Natalie strives to offer her customers, visit her new location in Downtown Akron 50 S, Main St., Suite 122. To inquire about her catering or to make a delivery request contact Natalie’s at (234) 334-4166. From about 11 a.m. until 2 p.m. Natalie’s receives a rush of patrons for lunch, so when visit, plan accordingly. To find out more information about the menu, catering information or to see examples of Natalie’s exceptional cakes and desserts, visit her website at www.nataliesakron.com or visit their Facebook page at www.facebook/TheDessertBarAkron. Urban Eats is a pop-art cafe owned by Elizabeth Tyran and Jason Scala, two creative geniuses, who turned their former order counter into a visual, compelling & fun place to eat! Jason and Liz both have a passion for food as well as art. Whether it’s local art, or a masterpiece from home, they acknowledge the beauty in each piece and showcase them in the restaurant. Liz is an UA alumnae while Jason has mastered the art of culinary. When you put their two minds together and you witness the talent this power couple posses, the outcomes are unlimited. They both strive to provide healthy and hearty meals to the people they appreciate most, the people in their community. Urban Eats is the center of a live, work and play environment. The owners of this cafe appreciate all the walks of life they encounter and the relationships they build while residing in the this community. Since their work and personal home live here; they especially know the importance of community and supporting one another. Liz says, although the occupants of the neighborhood may change over time, the community and the city constantly grows. Outside of their cafe, they support local artist in attending art shows and hosting a children’s “artwalk”. Along with the fascinating and eye catching wall art, their food is definitely something worth discussing. Referring to the menu, Liz says “they have something for everyone”. What’s so unique and diverse about Urban Eats is the fact that they change their menu each month. Sometimes it’s a new and captivating item or it could be a familiar favorite that you love and crave. In order to balance the variety of meals they offer they have to work together. Liz considered herself the “dreamer’ and referred to Jason as the “doer”. She thinks and creates these thoughtful and balanced recipes while Jason creates magic in the kitchen to bring her ideas to life. They listen and accommodate to their customers to make sure every trip is special. Creative, exceptional and inspiring are just a few words to describe their establishment. working alongside Musica, which is now open during the week, Urban Eats tries to integrate and encourage originality and creativity. With help from their small but mighty staff, Max, who is also multi-talented and artsy, they are able to achieve the motto of live, work and play. Whether you are vising for lunch during the rush, or stopping in after an event at Musica, Urban Eats is a place where art meets food and community is welcomed. You will quickly be inspired by Liz and Jason’s refreshing personalities, their fine food and the original atmosphere, they cherish. 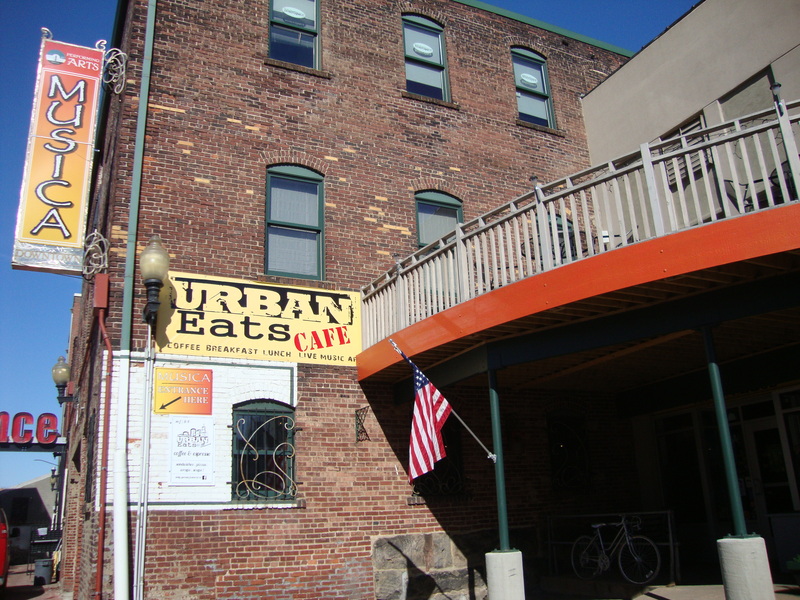 Urban Eats is located on East Market and they are open 9 a.m. – 9 p.m. Monday thru Friday and during any Musica events. You can always call ahead to order and delivery within downtown is available with a $25 minimum. Catering is also available for businesses and organizations upon request. Visit their website at www.urbaneatsmusica.com. 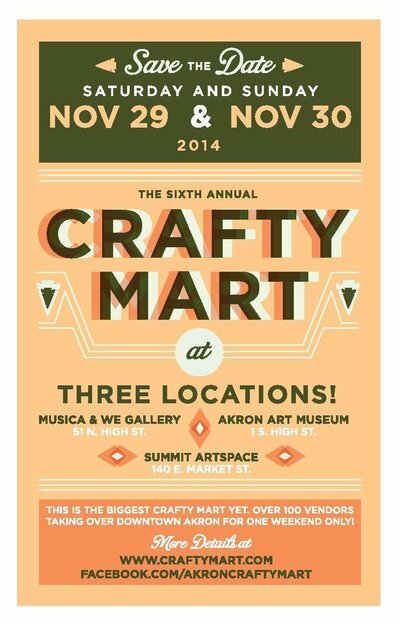 The sixth annual Crafty Mart returns to the Rubber City on Saturday November 29 and Sunday, November 30, 2014. Not only will the annual non-traditional holiday arts and crafts show take place over two days but it is stretching to include three separate locations in the downtown area. With over a hundred talented artists and makers selling a variety of unique handmade items, this is the perfect place to find distinctive gifts for everyone on your list. Admission is free and the event runs from 10 a.m.-5 p.m. on both days at all three locations. Crafty Mart takes place at Musica (51 E Market St), the Akron Art Museum (1 S High St) and Summit Artspace (140 E Market St). The expansion is a coordinated effort by three community-minded venues to offer Akron residents the best opportunity to discover, meet, and purchase from some of the area’s best fine artists, artisans, and crafters. Once again, Crafty Mart coincides with Small Business Saturday (November 29, 2014), a consumer movement that encourages holiday shopping from small local businesses. It is Crafty Mart’s intention to not only support local artists by giving them an opportunity to vend their wares but also to provide an exciting event for local residents to shop from small-business individuals. Food and coffee will be for sale during the event and deejays from The Mighty Soul Night will be spinning our favorite soul tunes at all three venues. Parking is free on the street, the Library Parking Deck on the SW Corner of High & Market Streets, and the flat lot on Summit Street across from Summit Artspace. Crafty Mart was first established in 2009 as a haven of uncommon, quality-made, local arts and crafts. 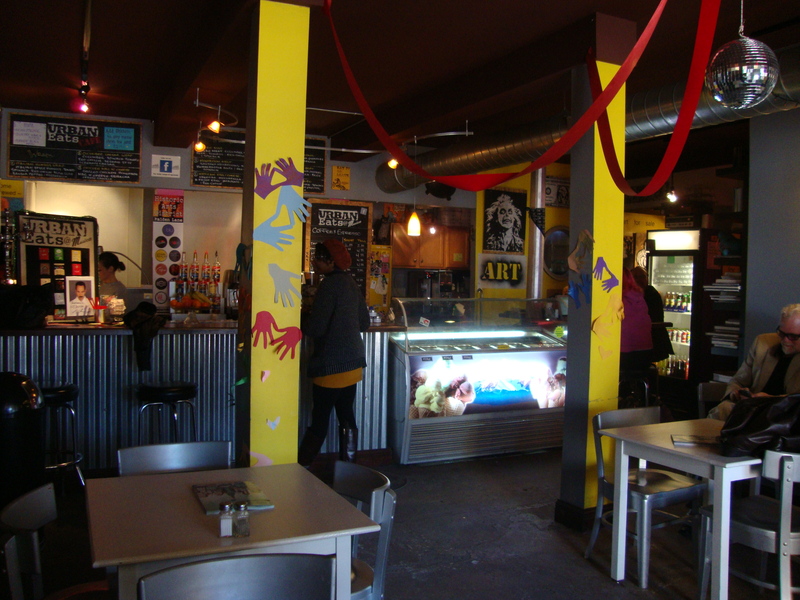 In 2013, Crafty Mart was voted one of the “Best of the City” by Akron Life Magazine. For more information on Crafty Mart’s past and present, go to: www.craftymart.com.